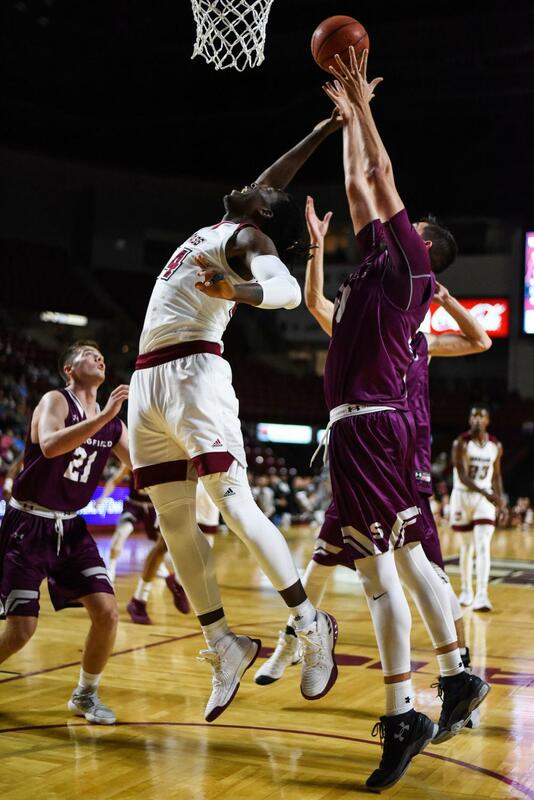 A heartbreaking loss to George Mason was an example of Luwane Pipkins-less University of Massachusetts showing grit without having much pop. As the Atlantic 10 conference tournament nears, the Minutemen finish up their season at Richmond on Wednesday and vs. Duquesne at home on Saturday. The Spiders and Minutemen have experienced a similar last few weeks. Both Richmond and the Minutemen are riding five-game losing streaks, but one of those will be snapped when the two teams face off Wednesday in Virginia. Combined with having not won in nearly a month and the countless injuries they’ve been handed, the Minutemen need to avoid getting discouraged. Whether UMass loses out or wins out, it will be playing in the first round of the A-10 Tournament on Wednesday, March 7. With guards like Nick Sherod, De’Monte Buckingham, Jacob Gilyard and forward Grant Golden, the Spiders provide a tricky matchup for UMass. Richmond’s 72-70 loss to Saint Joseph’s on Saturday was its closest defeat in its five-game losing skid. In that game, Golden recorded 16 points—his 15.4 points per game average leads the Spiders. McCall will have more big men options against Richmond with Khalea Turner-Morris returning from a concussion. Serving in his spot behind Malik Hines in recent games has been Randall West, who walked onto the team Feb. 14. West put in his best game of the season vs. George Mason, playing in 17 minutes and collecting eight points and six rebounds. He has played well enough to continue to earn minutes from McCall despite Turner-Morris’ return. While Turner-Morris brings size and essentially another body that McCall can use, more weight hangs on whether Pipkins is good to go. Having suffered a concussion vs. Virginia Commonwealth, Pipkins already missed one game at Mason. According McCall, Pipkins is likely on Wednesday, but his availability to play vs. Richmond on Wednesday depends on whether or not he clears concussion protocol. The A-10 leader in points per game, Pipkins has been McCall’s most effective weapon and one that changes the game. After practice on Tuesday, Pipkins said he was feeling good. Pipkins has practiced with the team, watched film with the team and has prepared as if he was playing. Philip Sanzo, Sports Editor can be reached at [email protected] and followed on Twitter @Philip_Sanzo.